Join us in maintaining and creating healthy landscapes by participating in the clean up of Clifton Nature Park! The event will take place from 8 a.m to 12 p.m. Sunday, Aug. 6, 2017, including the opportunity for a descriptive nature walk after pulling weeds and picking up trash. 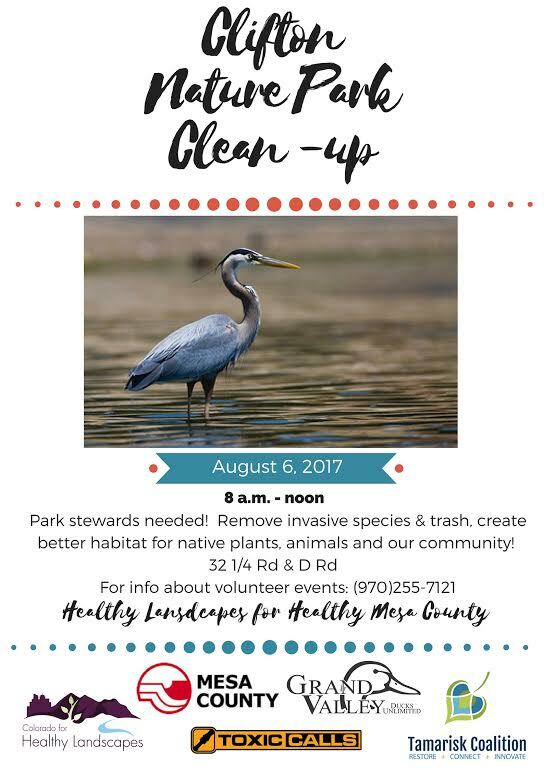 Clifton Nature Park clean-up is sponsored by Mesa County, the Tamarisk Coalition, Colorado Ducks Unlimited and Toxic Calls.